Your Maldivian adventure starts here. Secret Paradise is an inbound travel and tour operator committed to providing unrivalled Maldives holiday options; based in Hulhuamle (just 15 minutes by speedboat from Male) and providing enthralling and excellent value for money experiences, Secret Paradise helps each guest create their own paradise on Earth. Guaranteeing clients efficient personal services and delivering high standards of professionalism, you can rely on Secret Paradise to provide expert local knowledge, clear communication and a holiday of a lifetime. About Secret Paradise PVT Ltd.
Travel with Secret Paradise Maldives and discover culture and tradition, deserted islands, breath taking sunsets and the beauty of the underwater world. Enjoy the hospitality of the Maldivian people whilst experiencing the best activities the Maldives have to offer; diving, surfing, safaris and relaxation. 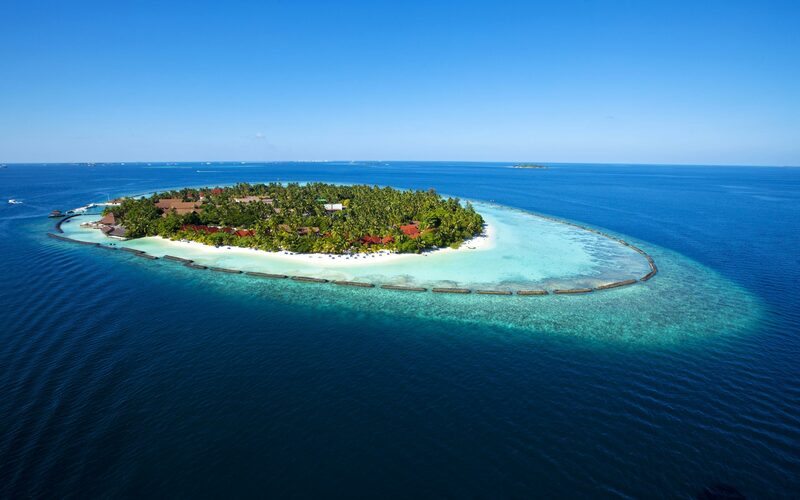 The company partners with locally operated guesthouses and dive centres throughout the Maldives to not only provide their guests with first-class accommodation and activity options, but to also help support the local economy. The company, formed in 2012, is owned by Male businessman Mr Mohamed Ziyad and developed and managed by Ruth Franklin, a former General Manager for the UK retailer BHS. Following 27 years’ service with the retailer, owned by Sir Philip Green (which included management of the BHS flagship store in Oxford Street London) Miss Franklin packed her suitcase, gathered her SCUBA dive gear and headed for a new challenge in the Maldives, a destination she was no stranger to having visited the archipelago on 30 occasions during the past 10 years. At Secret Paradise, they believe the best way to experience the natural beauty of the Maldives and gain an insight into the culture and traditions is to travel to an inhabited island. Therefore they can arrange accommodation in local island guesthouses (run by and for local people) and organise meals with island families; join in with local craft lessons, visit Maldivian schools, try your hand and fishing and learn the art of the cultural Boduberu (traditional music.) For those in need of a relaxing beach break, Secret Paradise will lead you to the secret local beaches that few tourists get to visit, whilst ensuring ample time to enjoy all those activities for which the Maldives are particularly renowned: diving and snorkelling, sunset safaris and world class spas. Awake to the sun rising over the azure ocean, snorkel areas that are famous throughout the world for their stunning beauty and abundance of marine life, surf waves that will accommodate every level of experience, visit unspoiled islands and sample the local way of life and by night relax on deck gazing at the millions of stars above you. Secret Paradise offer incredible eight-day discovery cruises, enabling their guests to experience the very best of the Maldivian landscapes, weather and delicious local cuisine. Secret Paradise offer a range of vessels in differing design and size, allowing clients to choice the option that best suits their needs; however, each vessel provides a truly magical experience. The crew are extremely familiar with the local waters and will navigate you through the beautiful reefs and channels of the Maldives. When it comes to diving, the Maldives is in a class of its own – and the best dive spots are readily accessible with Secret Paradise. The company works with PADI affiliated dive centres, owned and operated by locals, so you can expect well-maintained equipment and knowledgeable instructors. Each dive centre offers boat dives and a full range of PADI courses designed to introduce you to the captivating characteristics of the underwater world of the Maldives. The dive season runs all year round, but the conditions between November and May are considered to be close to perfection – expect calm seas and brilliant visibility. Divers are transported to the dive spots by adhoni, a traditional wooden boat equipped with all the necessary gear; at the first site, an obligatory ‘check dive’ is carried out, to ensure that all equipment is in full working order. Between each dive, guests are invited to relax on the sundeck, snorkel or visit a local island, and water and soft drinks are readily available throughout the day. Lunch is provided on a full day excursion. For those who are new to diving or wish to improve their existing skills, Secret Paradise can organise a range of PADI courses, splitting your time between studying theory and practical sessions. With Secret Paradise, you can be sure of a fun and safe learning experience. Secret Paradise works with local island guesthouses that provide a balance of comfort, good service, local atmosphere and value for money. All offer what they believe to be the essential requirements for a comfortable and pleasant stay; air-conditioning, en-suite bathrooms, towels and beddings, tea and coffee making facilities, bottled water, charging facilities and a friendly, welcoming team. For many guests a holiday to the Maldives is not complete without first sampling the luxury and relaxation of resort life. With this in mind Secret Paradise offer resort stay extensions to all their trips as well as offering the traditional seven or 14 night resort holiday. Set on individual tropical islands and providing seclusion far from the chaos of everyday life, Secret Paradise’s resort selection allow you to do as much or as little with your time in paradise. Lounge on white coral beaches and soak up the abundance of sunshine, explore underwater treasures, indulge in a spa treatment, take an excursion to a local island or just sip a cocktail as you watch the ever changing colours of the sunset. Whatever your mood you can be assured of an unforgettable experience. Each of the resorts recommended by Secret Paradise has been personally tried and tested by their dedicated team to ensure that as well as retaining the natural beauty of the Maldives, they also provide value for money, a good house reef and an experienced dive base. Each resort offers warm hospitality, a variety of accommodation types and a choice of dining experiences, recreational activities and entertainment options.